The atmosphere might not rival the serene, almost spiritual ambience that McIlroy experienced during a non-tournament week at the fabled course, but it certainly harks back to a more dignified and less digitized, age in sports and life. “It’s pure golf,” says four-time Masters champion Tiger Woods, the player most bedeviled by boisterous fans who at most venues these days are so busy snapping selfies they barely have time to watch him hit a shot. Not only are Augusta’s “patrons” encouraged, if not required, to act with decorum outside the ropes, the throng of media that follows him is not allowed inside. “Some of the events, like the Open Championship – because the golf courses are so old that there’s not a lot of room there’s sometimes 75 to 100 people inside the ropes following us,” Woods said. Augusta National chairman Fred Ridley knows the policy makes the club “an outlier”, but he thinks patrons appreciate it. There’s no running, no sprawled in the sun sleeping, and no fan photography at the Masters, no “You da man” bombast and if the marshalls have their way, no applauding of a less popular player’s poor shot. It all creates an atmosphere like none other in modern golf, but it’s the course itself that makes the Masters the ultimate experience for some of golf’s greatest. “Some of my best shots I’ve ever pulled off have been here,” Woods said of a course that is a test of creativity and the ability to pull off a seemingly outlandish shot – as much as the US Open is a test of stamina. “Augusta National allows you to do pretty much whatever you can imagine in your mind in each situation,” said Spain’s Jon Rahm, who tees off in his third Masters alongside 14-time major champion Woods and China’s Li Haotong at 11:04 am (1504 GMT). It’s McIlroy’s fifth chance to become just the sixth player to win all four of golf’s professional majors and this year’s Masters is widely considered his to lose. “This is my 11th year here. If I haven’t figured it out by now, there’s something wrong,” said McIlroy, who also enjoys a course that “forces you to be creative”. 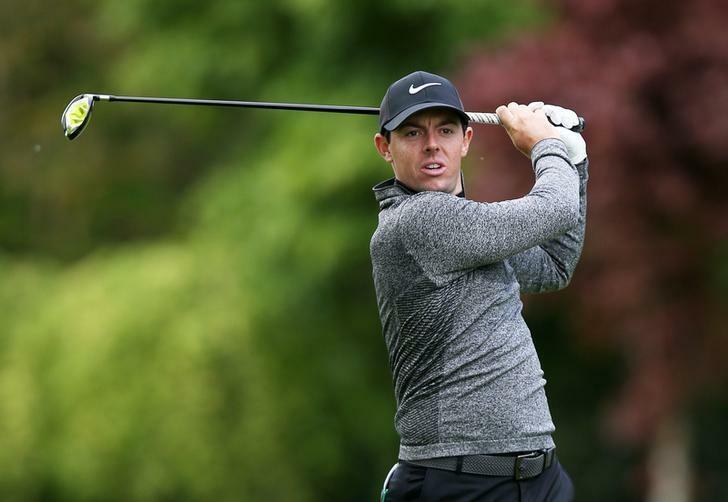 The post McIlroy renews quest to complete career Grand Slam appeared first on SABC News – Breaking news, special reports, world, business, sport coverage of all South African current events. Africa's news leader..